ooh just before someone say... Use collection to create your Series Album books games... HUMMM see my finger (sorry). We used software for progressssss... no the opposite. I don't need one to help me to wast my time... I achieve it quite successfully by myself!!! I have all that organised and done already. I don't need a "retarded' stuuff comming int to messup it and tell me lol you have to redo it again... and with "retarded" logic and rules... lol. just give me the FOLDERS feature thank you. You don't care if you you 10 movies. But when you have over 40,000 to 60,000 item... Ok I don't have that much. Bu I don't have neither 10. just more than 10... And I have issue so i don't say what will happen when i will have more than 10?? Edited by serv.linx, 29 January 2016 - 09:11 PM. Hi, and welcome. 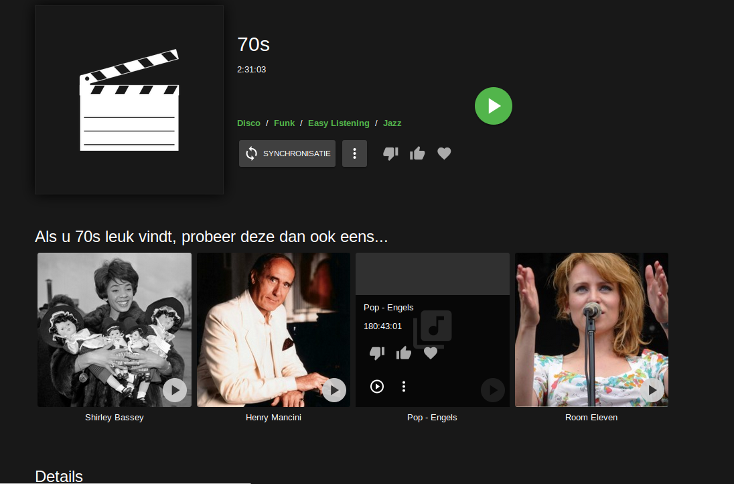 If you classify your movie library as either mixed content or home videos, then you will just get the generic presentation that you're looking for. Alternatively, you can keep the movie classification to get your rich metadata, but there are user-specific settings to disable the enhanced presentation and go back to a plain folder view. The moral of the story: explore, be adventurous, and you might just find what you're looking for . This has been added to the current beta 3.0.5876.0. But it is no different then the previous Folder View. Personally for me I would like it back in View Styles to only display folder view for music. Not quite sure if I'm missing something here or ?? I tried deleting the ID and nothing happened. So there seems no way of navigating into a directory 2 levels down? Anyone have any ideas? If a log would help let me know. This is using the web client btw. Edited by jbsatc, 16 February 2016 - 02:55 AM. SO ... it seems I missed the "mixed content" setting for the library so there's no metadata scraping. For the other noobs out there this seems to get a folder view navigation to work ... but I don't know if this is quite the right way going about this??? Having the same problem that top-level folders are seen as content. See images below. 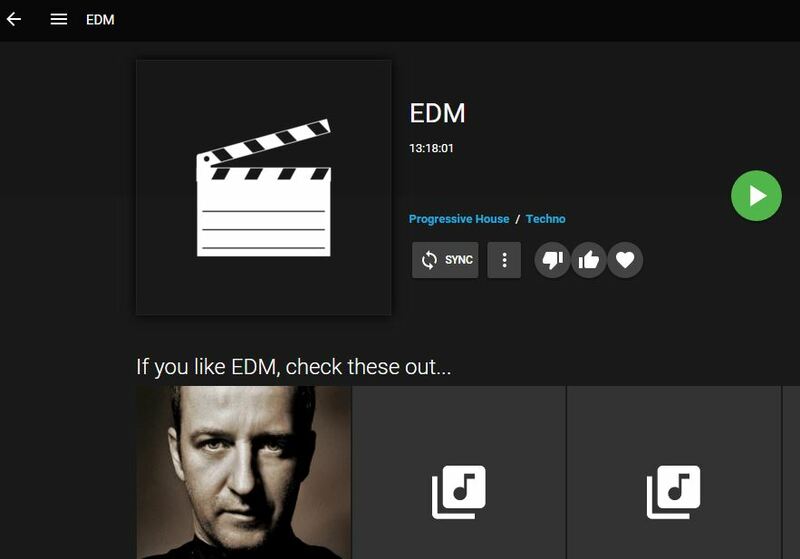 I would like to be able to have real folder view with metadata for artists, albums and tracks. Another, corresponding problem is that I don't get a folder view in BubbleUPnP anymore. I hope both options can be solved? 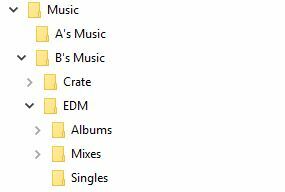 Newer releases of the server have a folders tab under music. I'm on 3.0.5913.0. 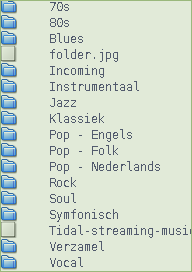 The screenshot above shows the folder tab ('Mappen' in Dutch). Any idea on how to solve this? And the problem that I don't get a folder view in an upnp/dlna app? The folders look fine to me, what is wrong? Thanks, I've resolved this for the next release. And do you have a solution for my other remark: no folders option in the dlna apps. I use BubbleUPnP and tried also MediaHouse which both have that problem. it just hasn't been added yet. its a useful alternative that on an organised collection (music library\artist\albums), folder view shows real album artist albums only (rather than muddled up with compilations and other albums featuring the artist). It works. Thanks for your work. Hopefully it will be in the near future? Edited by joho500, 13 August 2016 - 02:22 PM.